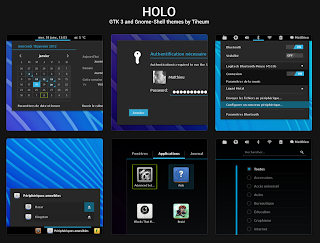 Holo is a cool new GNOME 3 theme pack created by Tiheum (the Faenza icon theme designer) that tries to mimic the Android 4.0 Ice Cream Sandwich theme. 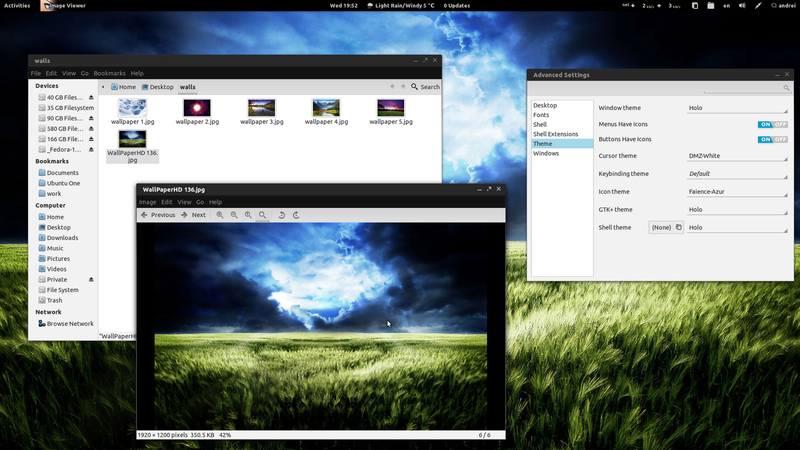 Holo was initially called "Ice Cream Sandwich" and only included a GNOME Shell theme, but a recent update brought matching GTK3 and GTK2 themes too. The GTK3 theme uses a nice gradient for the menubar, accompanied by an elegant Metacity theme, which unfortunately doesn't work in Unity for now. The GTK2 theme doesn't look so good as the GTK3, but luckily, most applications have already been ported to GTK3. For other Linux distributions or manual Ubuntu installation: to install Holo, download it from DeviantArt, extract it and copy the folder to the ~/.themes/ folder (".themes" is a hidden folder in your home directory so press CTRL + H to see it; if it doesn't exist, create it). Then, to apply the new theme, use GNOME Tweak Tool or Ubuntu Tweak 0.6+. After changing the Metacity theme, press ALT + F2 and enter "r" to reload GNOME Shell (or log out and log back in). Remember, the Metacity (window) theme doesn't work in Unity for now so only install it if you're using GNOME Shell (the GTK theme does work in Unity obviously, but with both the titlebar and menu missing in Unity, the theme won't look like its supposed to anymore). This will hopefully be fixed in a future release. 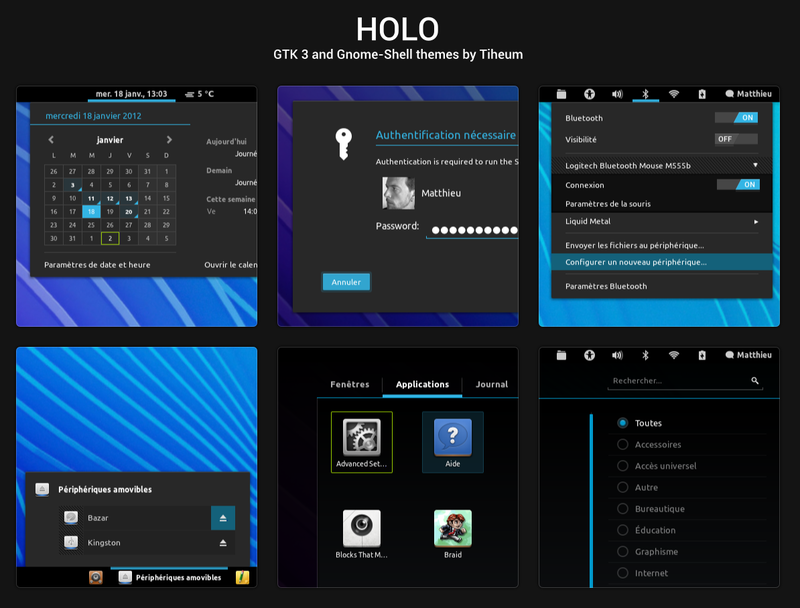 Note: Holo requires Unico GTK3 as well as Murrine and Pixbuf GTK2 engines, so make sure they are installed before using the GTK theme.